Sign up and receive Property Email Alerts of Houses to let in Community 18, Accra. 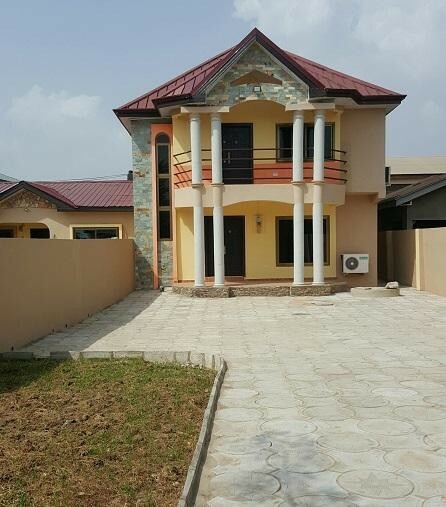 This impressive new property is located in Spintex, just off Community 18 Junction. It has four spacious en-suite bedrooms, a large living/dining area and a fitted kitchen with beautiful wooden cabinets. The property also benefits from a maids room, open terraces which look over the compound, ample parking for about 4 cars and reserve water storage. Sign-up and receive Property Email Alerts of Houses to let in Community 18, Accra.